When Hussain Zaidi, a first-year student from Pakistan, came to Swarthmore, he was initially surprised by the lack of mental health resources for LGBTQ+ students. While all students can register for an appointment at C.A.P.S (Counselling and Psychological services) and work with a counselor, many LGBTQ+ identifying students reported feeling like C.A.P.S didn’t offer specific resources and some therapists lacked training in certain issues specific to the LGBTQ+ community. “A lot of my friends here have to explain concepts like gender dysphoria to their counselors before they talk to them. It’s something that students shouldn’t have to face because at such a diverse school like Swarthmore they need to be prepared for counseling diverse students,” said Zaidi. Sophomore Ray Sidener ’21 believes C.A.P.S are not adequately trained in counseling trans students. “I honestly haven’t had any major issues with C.A.P.S … it’s just that none of their staff is particularly educated in trans issues/the trans experience beyond using the right pronouns,” wrote Sidener, adding he originally believed C.A.P.S would have more resources for trans students. “I think I expected C.A.P.S to be more experienced in trans issues just ’cause Swat talks a lot about being trans inclusive,” wrote Sidener to the Phoenix. Sidener recalls having to explain trans experiences to his counselor. “It’s just a pain to try to explain problems you’re having to a therapist who doesn’t really have an understanding of the basics … trying to work through fears/insecurities around starting HRT [hormone replacement therapy] with a therapist who doesn’t even know what HRT does? Not ideal,” wrote Sidener. Nyk Robertson, the Associate Director Gender and Sexuality Initiatives at Swarthmore, believes that it’s important for all of Swarthmore’s services to work on being more accessible to marginalized groups. “It is important to have resources specific to students’ identities because these identities affect the ways in which a student navigates the world. All resources, whether they be Career Services, Matchbox, or C.A.P.S, are focused on a specific community. The issue lies in presenting any space as being accessible to all,” wrote Robertson. Part of Robertson’s work includes running S.Q.U.A.D., Swarthmore Queer Advocate Development, trainings on various LGBTQ subjects and intersectional identities that are open to the Swarthmore community. “I have a series of trainings that I am doing this year, which many members of C.A.P.S are attending, around these intersections of identity and how that affects the needs our students have. For example, a DACA LGBTQ student, a LGBTQ+ student of faith, a non-binary student, or a QTPOC [Queer and Trans People of Color] student all have different experiences and needs. I would say the one thing that might be able to be seen as universal is the struggle for LGBT students to be seen and affirmed in all the facets of their identity,” wrote Robertson. Clinical Community Liaison Dawn Philip was hired this year in part to help make C.A.P.S more connected to the rest of the campus community. She said that C.A.P.S does not have specific LGBTQ training. All of C.A.P.S participated in an intersectional trauma training this summer. “I think of this as an intersectional approach that we have. When I think of my students who are LGBTQ identifying they also have all these other intersecting ideas. A lot of my students are also students of color or dealing with all of these other marginalized identities,” said Phillips. Philips mentions that many members of C.A.P.S attend Robertson’s S.Q.U.A.D. trainings, but because of scheduling it is hard for all C.A.P.S staff to attend. “There are a number of us who attend Nyk’s S.Q.U.A.D. trainings and they have been helpful especially around contextualizing the student experience. Between our crisis hours, individual and group sessions, and other clinical and non-clinical demands, it’s hard to require the whole C.A.P.S staff to attend any specific training at one time but we each try to make time to attend what we can given our schedules,” said Phillips. Maya Henry ’20 also felt like they had to explain what it was like being a Black student on campus to their therapist. Henry noted that they were uncomfortable with their initial C.A.P.S appointment and the directly personal questions they were asked. “The first C.A.P.S appointment I had was the second semester of my sophomore year. I felt thrown into it because I never had therapy before so I wasn’t sure what I was supposed to do or what I was supposed to talk about. She started by asking me demographic questions like my race, sexuality, religion, and gender. I felt uncomfortable but I understood why she asked those things even though a lot of the answers were things I wouldn’t just share with people I just met,” wrote Henry. Henry found as the appointments went on they remained uncomfortable sharing personal information with their counselor often asked them to explain Black experiences. “I had to explain to her the difference between the standard Black haircut that involves straightening my hair and then searching for someone to cut my hair in its natural state. Then I had to explain the demographics of Swarthmore and the business owners. He was pushing back on everything I said. I trim my own hair now … The problem was that this wasn’t what I wanted to talk about and it was a complete waste of the session,” wrote Henry. 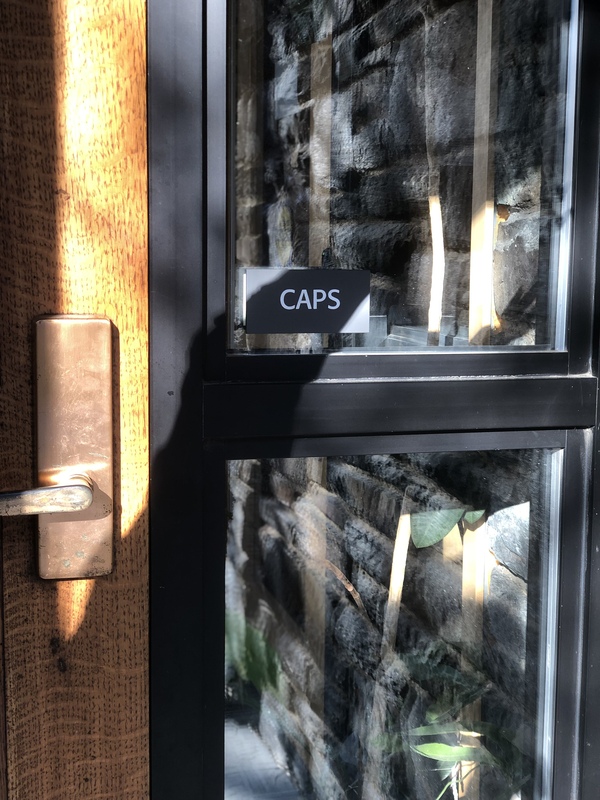 Concerns around C.A.P.S’s resources has also been a priority for O4S, Organizing for Survivors, a group that seeks to advocate for all survivors of sexual assault on campus, and SQU (Swarthmore Queer Union). The two groups collaborated over the re-release of O4S demands on April 1. In the released document, O4S called for an overall expansion of C.A.P.S and well as more resources for marginalized students. “Despite promises that issues in C.A.P.S would be prioritized and improved, we know C.A.P.S is also continually harming students. 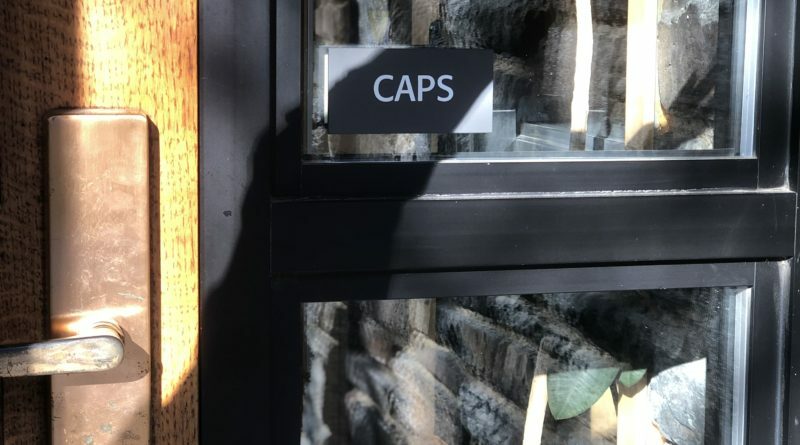 We know many therapists have patterns of racism, homophobia, and victim-blaming behaviors and we know C.A.P.S refuses to listen to students requests that these C.A.P.S staff members no longer work with students,” stated the O4S re-release of demands. David Ramirez, the Director of C.A.P.S says that C.A.P.S has made several changes in response to concerns from the community. Ramirez also said that C.A.P.S has made an effort to increase their resources for dealing with trauma. “Other changes included a day long In Service training for the entire staff in Trauma Informed Care, provided by Dr. Di O’Neill from UPenn, meant to compliment staff’s pre-existing expertise. We have also engaged an outside consultant to work with the entire staff on issues of Diversity and Inclusion during this school year,” wrote Ramirez. O4S’s most recent demands include increasing C.A.P.S staff, prioritizing the hiring and professional development of therapists of color and queer and trans therapists, increasing the physical office space for C.A.P.S, increasing the budget, training all staff in care sexual violence, and hiring trained psychotherapists who remained at the college for longer periods of time. O4S also demanded that C.A.P.S expand to the point where the emergency wait time is no more than 24 hours and that weekly appointments are considered the minimum. O4S also stated that if C.A.P.S could not provide a certain resource, off-campus resources should be made available and funded for students. Henry, who is the president of SQU and a core member of O4S, feels that this collaboration is incredibly important for making marginalized voices heard on campus. “The collaboration is important so queer and trans students have the opportunity to have their experiences affirmed and respected. This gives folks the opportunity to mobilize their voice towards more resources or to add their voice to the collective trying to push C.A.P.S,” wrote Henry. Phillips noted how C.A.P.S has been trying to increase accessibility for students. She explained that C.A.P.S policy allows students to change counselors without any questions asked and students should always feel free to do so. Phillips also discussed how students have complained about wait times. As a result, C.A.P.S is trying to be more accessible both with triage hours. During triage hours any student can walk in and be seen immediately. C.A.P.S also tried to decrease wait times by hiring a case manager. Ramirez explained that during the hiring process C.A.P.S looks for counselors who can demonstrate an understanding of trauma as well as different identities on campus. “Counselors must have assessment, diagnosis, and therapy skills, with demonstrated ability to provide trauma informed care that is sensitive to a range of intersectional identities and broad cultural backgrounds,” wrote Ramirez. Henry feels that hiring diverse therapists should be a priority for C.A.P.S when they fill a position . “C.A.P.S could better serve the students by having Black therapists and more therapists of color. We need queer and trans therapists we need psychotherapists who have training in trauma informed care. More services that don’t make students feel like they are being rushed out the office in these short infrequent sessions. Trauma makes it different to talk things through and then send students out to deal with the day with no strategies,” wrote Henry. Ramirez also explained that C.A.P.S hires candidates in two situations, the first being when positions open up, or when the student demand for counseling increases. Ramirez added that many of the C.A.P.S staff have been working at C.A.P.S for a while, but others are only with the community for a set number of years. In Philip’s new role she spends every Friday at the IC in order to be more connected with the campus and their needs. Students have told her they are interested in having an LGBTQ+ support group which is something she hopes to get up and running next year. Her new role is part of a larger effort by C.A.P.S to figure out how they can best serve the marginalized communities including students who identify as members of the LGBTQ community. “Part of my role at C.A.P.S and working one day a week at the IC is to help facilitate connections between C.A.P.S and the various student groups represented in the IC.”,” said Philip. Philip believes that this will be an ongoing discussion both within C.A.P.S and the larger campus community, but is hopeful to listen to student concerns. Zaidi started a student led-initiative called Swarthmore Students for Improved Healthcare System to discuss the ways C.A.P.S can support LGTBQ+ students. Currently, the group consists of three students and three staff members, including Associate Director of Gender and Sexuality Initiatives Nyk Robertson, Director of the Center for Innovation and Leadership Katie Clark, and C.A.P.S counselor and Clinical Community Liaison Dawn Philip. Zaidi, who is currently in the process of chartering the group with SGO, said the group began meeting in February to discuss changes that could be made to the C.A.P.S program. Zaidi also is hopeful to have the initiative chartered by Fall of 2019 and encourages all interested students to join his initiative next fall.